Stranger Things: The Game is quite possibly the best way to start your weekend morning. Here I am, sitting on the couch next to my mother-in-law, killing time before my wife comes home from her workout. Coffee in hand and pup laying next to me, I open Reddit. 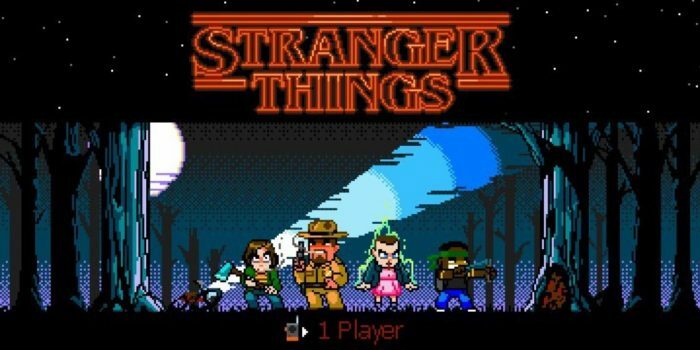 Bam – front page post on Stranger Things: The Game. Interest is piqued. Stills look cool. Anything 8 bit these days automatically triggers my nostalgic elementary school sleep overs where we played Ghouls and Goblins and Golden Axe in between bouts of running outside and playing Ghost in the Graveyard. Mother-in-law on one side, dog on the other, and coffee flowing, I load up the game. Then 30 minutes later I’m walking out of Hawkins National Laboratory post boss fight, ready to take the next step in the journey. What happened in those 30 minutes? A lot. The graphics will pull you right back to 1990. It’s like the height of pop punk and the adolescent version of Secret of Evermore had an iOS love child. It’s just fantastic. Stranger Things 2 debuts Friday, October 27. We know this blog is on a gamer dating site. And while we strive to write posts that add value to your day regarding dating, we felt strongly that we should share this with you. After all, this is why we’re all here in the first place, right?